Dean’s Landscaping has a full service concrete division. We have many years experience in commercial, industrial and residential concrete work. We also have experience working with city curb and sidewalk replacement programs and with commercial properties providing ADA approved wheelchair ramps and detectable warnings. Additionally, we also specialize in parking lot and site drainage, as well as manhole and catch basin repair. To ensure quality installed and finished concrete, our concrete finishers are certified through the Ohio Ready Mixed Concrete Association. We are bonded with the city of Dayton and surrounding municipalities for Right of Way work (street curbs, sidewalks and aprons). 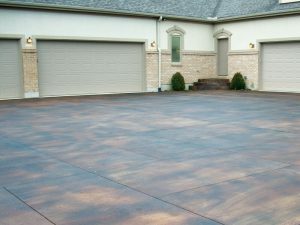 Let’s get started on your concrete project.